GOP Reps Seek Criminal Prosecution Of FBI, DOJ Officials For "Full Throated" Illegal Misconduct And "Treason"
Following the release of a four-page memo detailing rampant FISA warrant abuse by the FBI and DOJ, Rep. Paul Gosar (R-AZ) announced that he will seek the Criminal Prosecution of FBI and DOJ officials for the "full throated adoption of this illegal misconduct and abuse of FISA by James Comey, Andrew McCabe, Sally Yates and Rod Rosenstein" who Gosar called "traitors to our nation." Gosar focuses on the memo's claim that the FBI and DOJ did not mention that Christopher Steele, the ex-MI6 spy who compiled the dossier, was partially funded by the Clinton campaign and the DNC. 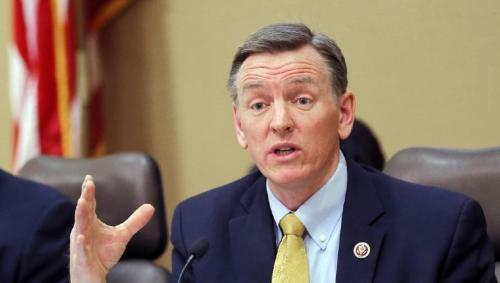 "This is third world politics where the official government agencies are used as campaign attack dogs," Gosar said. I will be leading a letter to the Attorney General seeking criminal prosecution against these traitors to our nation."